Yes — They don’t have an awareness of where the letters are on the keyboard. So typing by pecking isn’t even an option and slows them down considerably. The hope is that students will be able to blog about their day, thus creating a digital portfolio. Writing the reflections will promote literacy and give teacher’s a window into each student’s understandings. Students will be able to read each other’s reflections to learn, collaborate, and acknowledge shared connections through commenting. If the students can type, blogging is a real option. No — With today’s advancements in tools, isn’t recording your voice or making a movie more efficient or more in line with the multi-modal learning we encourage? What about the future that we are preparing student’s for? Shouldn’t they begin using Speech-to-Text options? Can a student really type on an iPad? So the question is still a little complicated. My guess is the answer is in both arguments. Students at The School have a unique opportunity to use all the resources that are available. 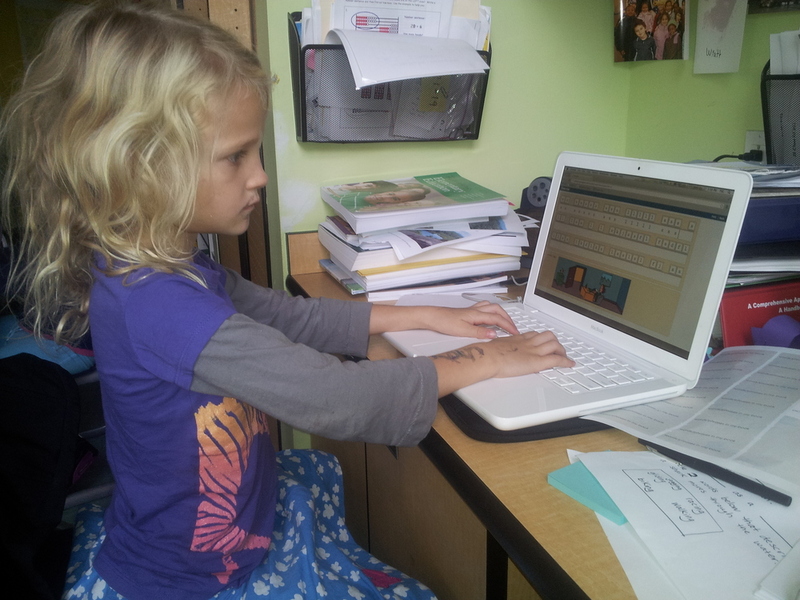 I am sure that having typing skills is not going to be an impediment to the children. But we have to recognize the validity in these other forms of communcation — audio recording and video. Speech-to-Text is improving! So that cannot be ignored either.